Velbex is a registered Uniroyal Global Limited trademark for flexible unsupported vinyl sheeting. 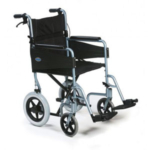 Velbex is available from semi-rigid to soft handles for use in all manner of colours and industrial applications. A range of thicknesses from 0.10 mm to 0.60 mm are available as single calendered product but a lamination service is available to offer product up to 1 mm thick. The product is suitable for HF, ultrasonic and vibrational welding techniques and can be adhered to porous or non-porous substrate via the use of proprietary adhesives. For a more personal touch a wide range of printing and embossing effects is available and can be expertly interpreted by our Design Studio to add a unique finish to all Uniroyal Global Limited Velbex sheeting. Medical a wide range of medical products can be manufactured from Velbex including alternating pressure mattresses, mattress covers and urine bags to name but a few. 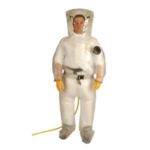 Nuclear Protection Velbex is widely used in the Nuclear industry to provide personal protection and also for the disposal of contaminated waste. Personal protection Velbex is an excellent flexible product for use in protective clothing and high visibility applications. Its excellent thermoforming properties make it the first choice for the manufacture of ear-defenders. Moisture Barriers Velbex is the ideal product for low vapour transmission applications such as aircraft engine protection and is also used in the construction industry as a damp-proofing system. Pool liners Velbex is the material of choice for many manufacturers of both flexible and rigid pools and ponds. It can be formulated to be non-toxic and fish-friendly, and can also be printed to provide a realistic look to domestic and competition pools. Pram & Nursery Velbex is equally at home in the childcare industry where it is formulated to meet all child safety standards. 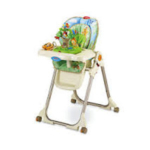 Uniroyal Global Limited are the market leader in providing contemporary and pleasing designs for the nursery sector. Decorative Surfaces Velbex is available in plain colours and both geometric and abstract designs for lamination to porous substrate such as chipboard, plywood, MDF and plasterboard. The breadth and flexibility of our design range make Velbex an excellent choice for caravan/mobile home manufacturers, shopfitting, partitioning and office furnishings. 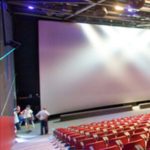 Cinema Screens Velbex can be formulated to incorporate fire retardant agents and to incorporate a high degree of matt making it ideally suited to cinema screen manufacture. These are but a few examples of the wide field of application of Velbex vinyl sheeting from Uniroyal Global Limited. Call us now to see what we can do for you.